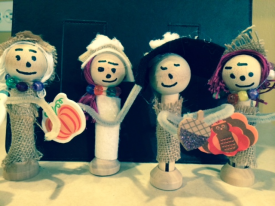 Editor’s Note: Karen Larsen of Schaumburg has donated nearly $500 to Special Olympics Illinois through the sale of her clothespin dolls. My name is Karen Larsen and I used to be an athlete in Special Olympics Illinois. 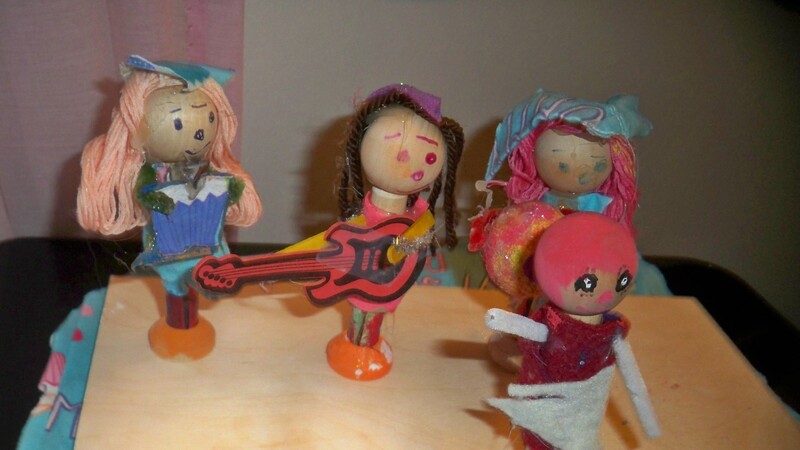 On April 5, 2012, I had a dream to design dolls. So, I went to the craft store and looked around and saw wooden doll heads, clothespins and felt. I bought the art supplies that I needed and when I got home from the store, I designed my first clothespin doll and it came out beautiful. I had another dream to sell my dolls and raise money for Special Olympics, so I asked all my friends and all my family to buy my dolls. I sell my dolls for $4 each. My friends and family bought my dolls and I gave the money to Special Olympics Illinois. Every time I went to a restaurant, I would show the wait staff my dolls and sometimes they would buy. I have sold dolls to firefighters, nurses and doctors, too. Everyone loves my dolls. I made dolls of sport teams, for weddings, holidays, graduations and bridal and baby showers. I love making my dolls because it gives me something to do in my life and it makes me feel very happy to help Special Olympics.